Ahead of Pope Francis arriving in Morocco, the country's small and diverse Catholic community gathered excitedly at Rabat's cathedral to get their hands on tickets to see the pontiff. "We're lucky! The pope is coming to Africa, it will bring together communities from all walks of life in a Muslim country. It's extraordinary," said Ernould Kumba, 27, originally from Congo-Brazzaville. 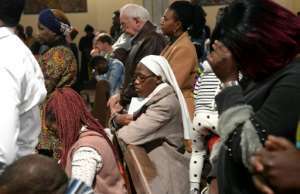 On the first Sunday of Lent, a tight crowd gathered around the cathedral nave including tourists, foreign retirees, and a majority of parishioners from sub-Saharan Africa. 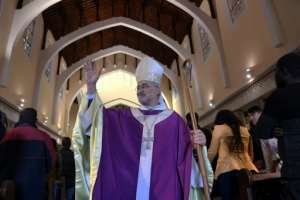 The pope's arrival on Saturday has been hailed as a "unique opportunity" by Rabat's archbishop, Cristobal Lopez Romero, who said it demonstrates that "we value more that which unites us than that which divides us". 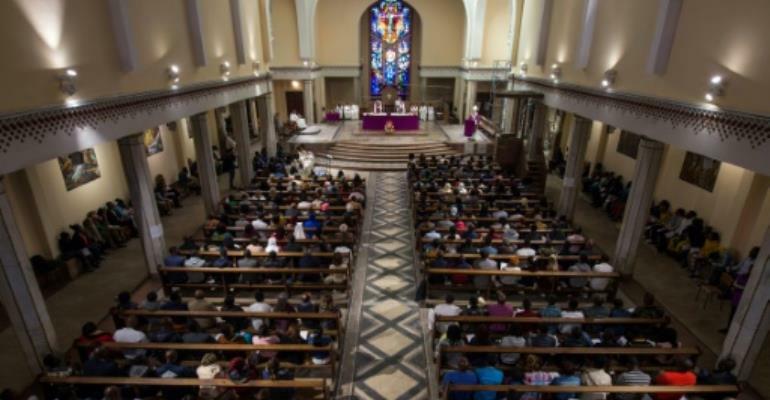 "You come from all peoples and all countries," the Spanish archbishop told churchgoers, rolling off a list of those who were due to be baptised. Reflecting the diversity of the parish, there was a reading in Portuguese before the Lord's Prayer in Arabic. Around 30,000 to 35,000 Catholics live in Morocco, a tenth of the number before the North African country gained independence in 1956. Back then there were more than 200 Catholic churches, while now just 44 remain, which are supported by Morocco's migrant communities. The first wave of arrivals from sub-Saharan Africa came in the 1990s, with students on university grants, followed by those over the past decade who are seeking to reach Europe. "They breathe new life, I've never seen a church so young, with an average age of 30 to 35", said Father Daniel Nourissat, who leads the Rabat parish. Lizzie, a 20-year-old Ivorian, said she wasn't previously a strong believer but "everything" changed when she came to study in Morocco. "It's not easy, here, and faith is a great support," she said. 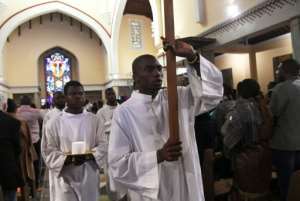 The sentiment was echoed by Jean-Baptiste, a fellow Ivorian, who said many parishioners attend church to "create a fraternity". The pope's two-day visit follows an invitation by King Mohammed VI, as part of the "development of inter-religious dialogue" according to Moroccan authorities. The king describes himself as the "commander of the faithful" and Islam is the state religion, although the constitution guarantees "to all the freedom to practise their faith". It is, however, a criminal offence to try to proselytise or "rock the faith of a Muslim or to convert him to another religion", punishable with from six months to three years in prison. "It's true that compared to other Arab countries we have a degree of freedom," said Mohamed, a Moroccan who converted to Catholicism in 2016. The 70-year-old said he was "convinced by the preachings of Father Rachid," a Christian convert and presenter on Egyptian satellite channel Al Hayat TV. "It's not always easy, but I don't hide" visits to the cathedral, Mohamed said proudly. With Christianity a sensitive subject, the Rabat parish avoids putting its flock in the spotlight. "Some Muslims pretend that we don't have the same God and that we will end up in hell," said Cyrvine, a 24-year-old Congolese student who sings in the choir. "But the pope's visit will be an opportunity to unite communities and religions," she added, impatient for the pontiff's arrival.